Description Groundbreaking Ceremony, July 31, 1982. Steve Turner, library director in foreground. 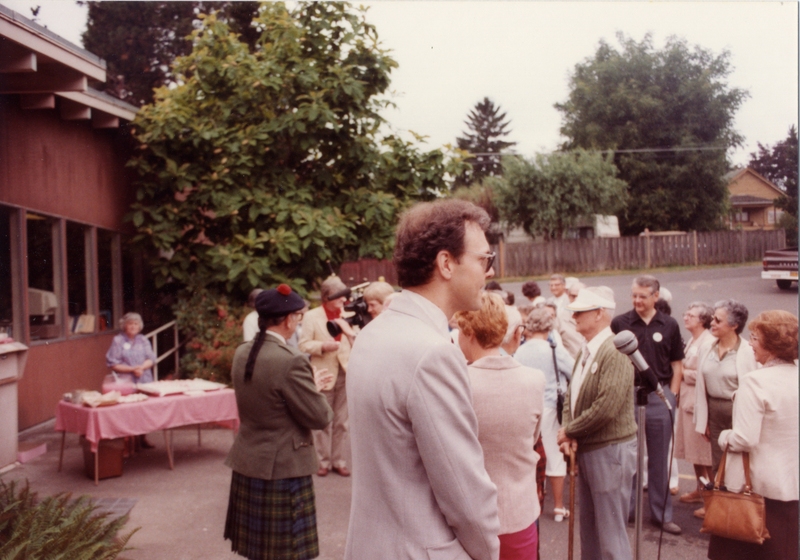 Mayor Herald Campbell in kilt.